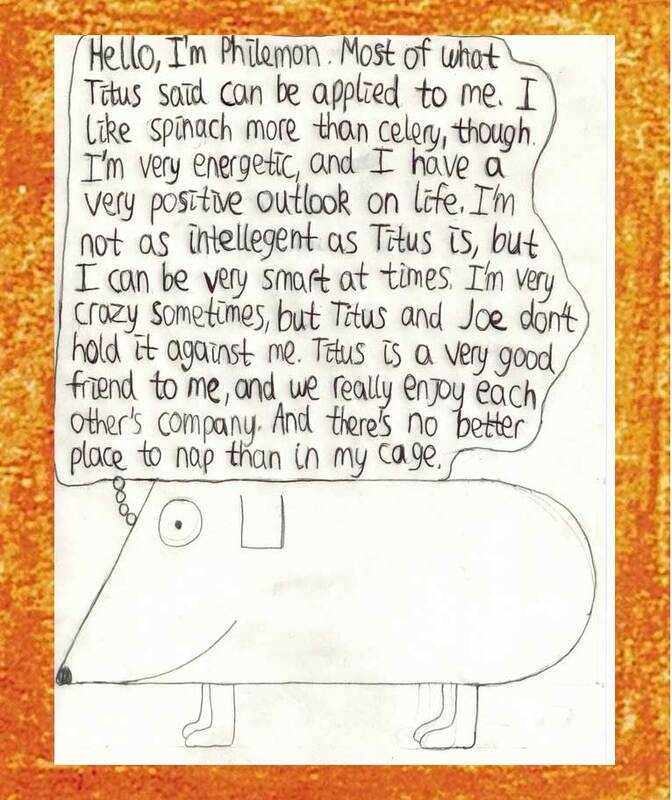 My book is about two guinea pigs, Titus & Philemon, that live with Joe and their everyday activities. We have had guinea pigs in our home for many years and they have brought a lot of joy to our family. I have been writing about Titus & Philemon for several years now and want to share with you the fun and joy they have brought me. Timmothy Timm just turned 17 years old. When he was born we lived in Underwood, North Dakota, but we now live in Minot. At the age of 3 he was diagnosed as having high-functioning autism. The most evident manifestation of his disability was Timmothy’s difficulty to communicate verbally. The ability to communicate verbally is still Timmothy’s biggest challenge but oddly enough communication is at the same time one of his strongest gifts. Timmothy is a gifted artist, story teller as an author, and pianist. 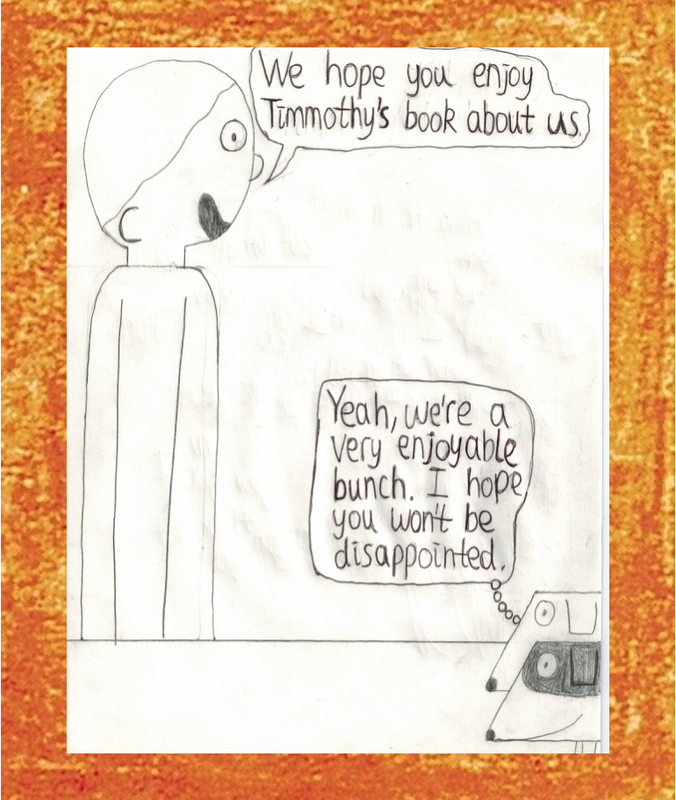 For nearly four years Timmothy has been writing a comic strip titled TITUS & PHILEMON, a story of two guinea pigs and their friend/owner Joe. We just printed his first book, Titus & Philemon Take the Stage, in August, 2018 and has already sold out with nearly 50% of those sales being out of state requests by people who have been moved by his accomplishments as someone touched by autism. The 2nd printing is now available. Copyright ©2018 Timmothy Timm. All Rights Reserved.